Lisa Pellerin and Ana Cruz had an impressive 2014. In addition to increasing LA Mortgage Team’s revenue by 30%, they have built a solid team of mortgage professionals contributing to their success and won the Canadian Mortgage Award for Best Newcomer Brokerage. 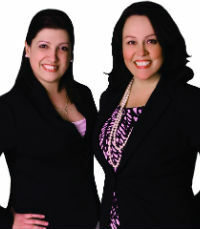 This team led by Lisa and Ana offer more than 25 years of combined mortgage lending experience and lead in the marketplace as industry experts delivering exceptional customer service. Lisa and Ana are both active in their local community and act as committee members on various boards, giving back their time and energy.